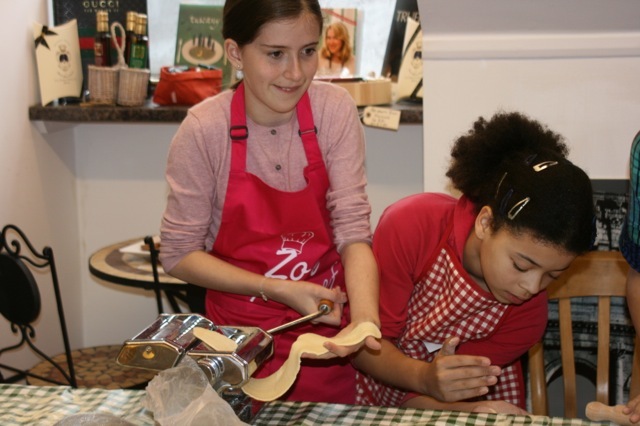 were indulged in a pasta making event at the Delights of Italy, Home Grange, Wokingham. 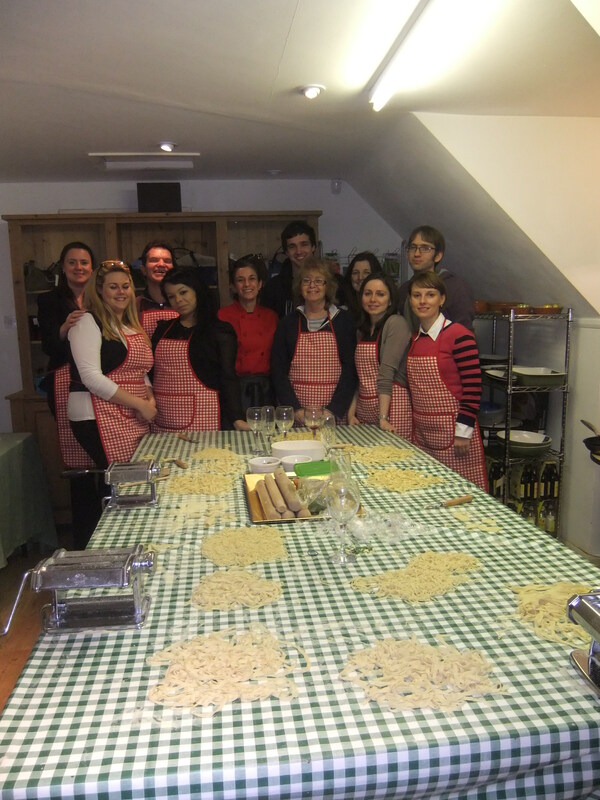 Their culinary skills were enhanced over two nights in March and April providing an opportunity for everyone to mingle and learn the “Dark Art” of Pesto and Pasta making under the guidance of Eton College Chef, Orsola Magic. 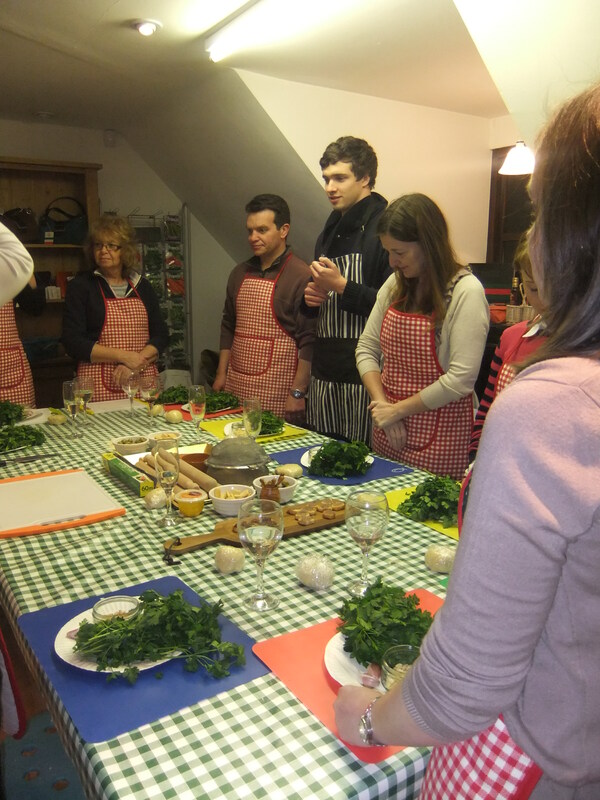 The smell of fresh herbs and garlic filled the quaint courtyard barn adding to the ambience of the evening which was enjoyed by one and all. The event was sponsored by Legacy-David Nassif Memorial Fund (DNMF), set up by Vail Williams to honour the late David Nassif, a former Partner who was a firm believer in promoting personal development. 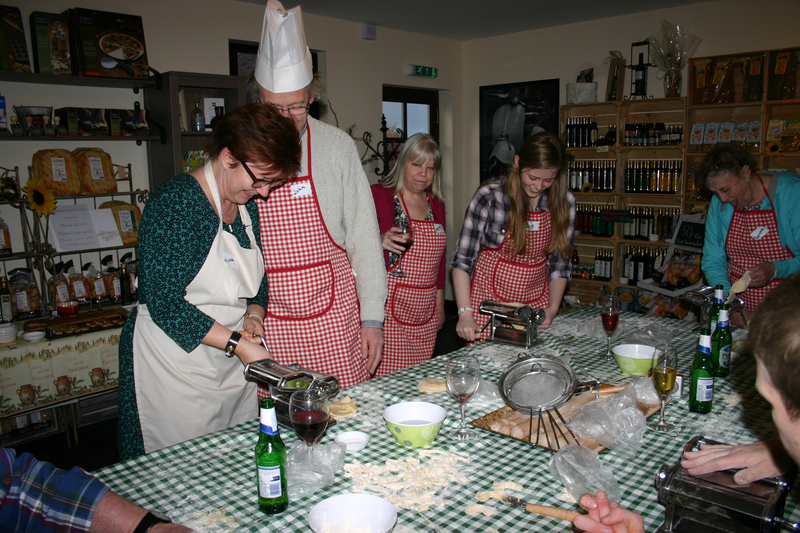 Stuart Dawson, Head of Human Resources and Committee member on the DNMF said “It was a fun evening spent learning cookery skills that can be used in the future and also provided a platform to socialise with colleagues outside of work”. Jo Fisher, Associate and Mark Llewelyn Jones, Partner - both from Corporate Real Estate added “The event provided a relaxed atmosphere and a great opportunity to meet and have fun with colleagues. 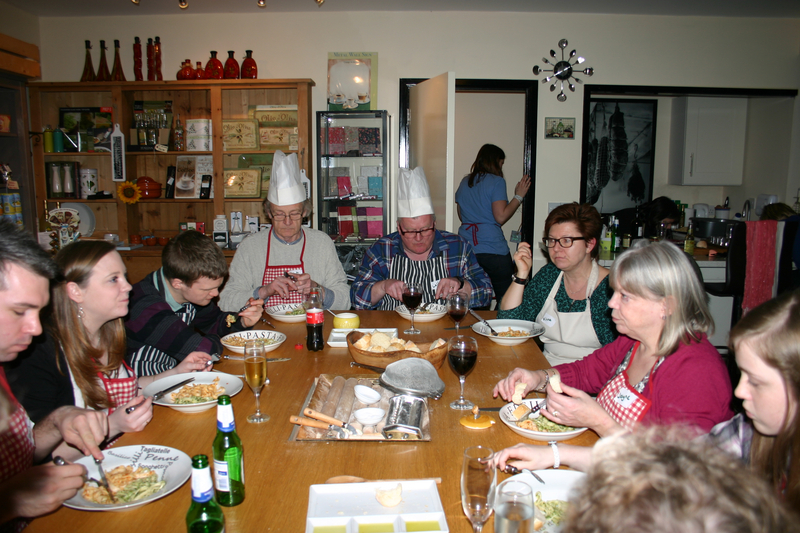 In all it was a good evening and fantastic initiative”. The evening was an enormous success strengthening the bond between everyone and a great reward to all those involved for their continuous pursuit towards excellence. 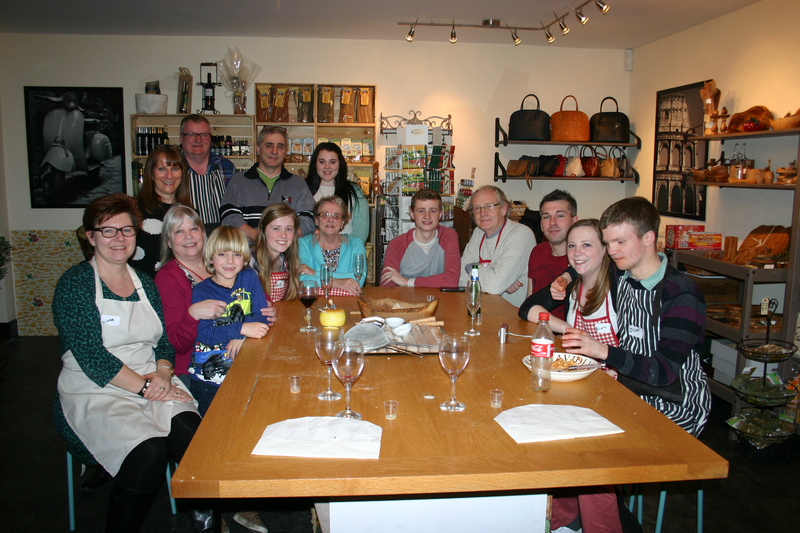 Had a fantastic time with Debbie and Lloyd Watkins and family and special guests. 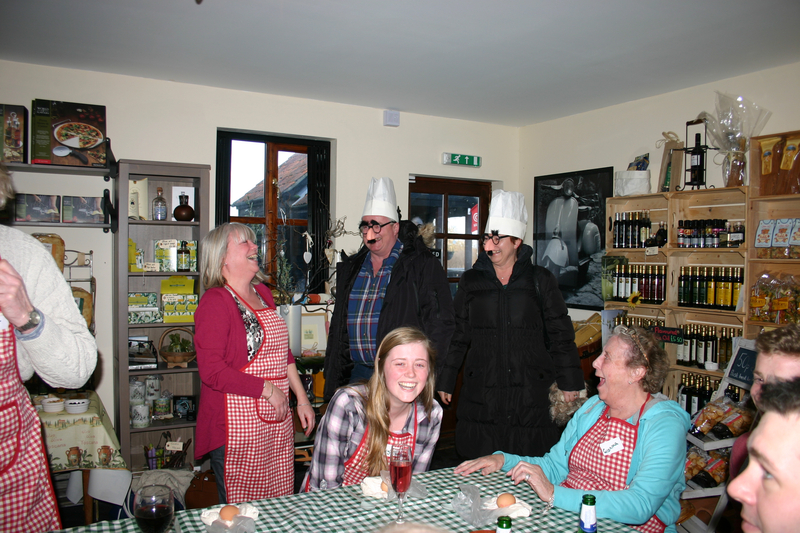 There was a surprise in store when friends arrived from Denmark (they're the ones in the moustaches and glasses!). 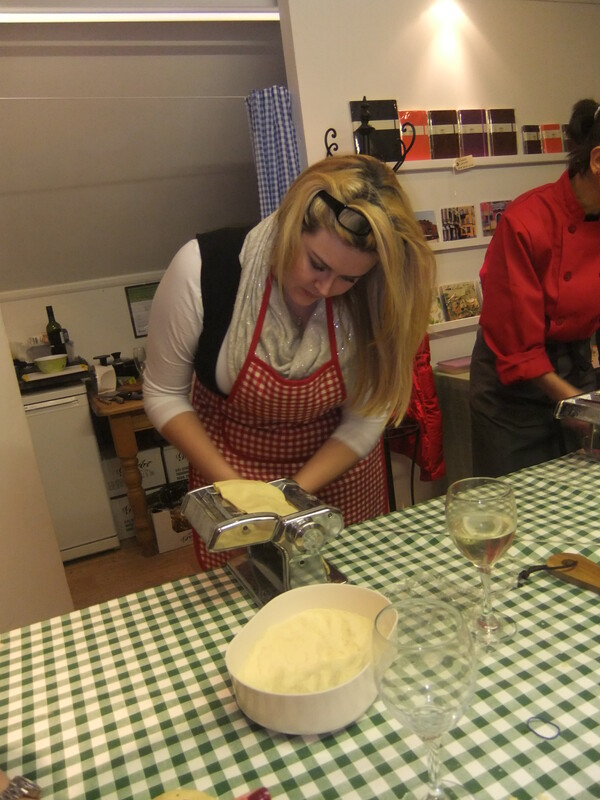 Pasta was made and eaten, along with a glass or two of something cold. Gluten-free success with Jack. 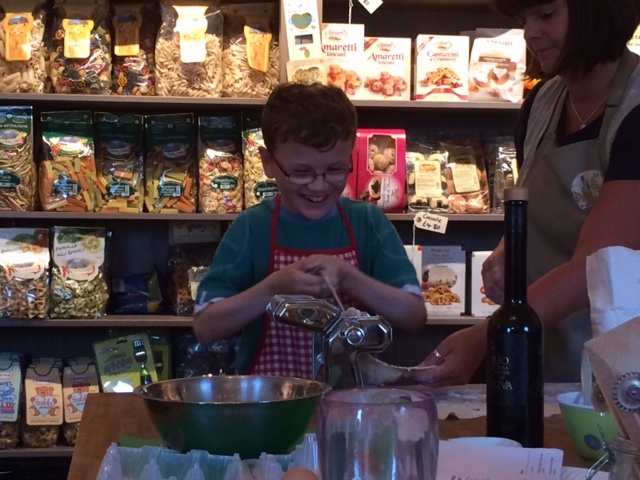 His mum said: "My son, Jack, had a brilliant time learning how to make pasta with Jacky at Delights of Italy on Thursday. 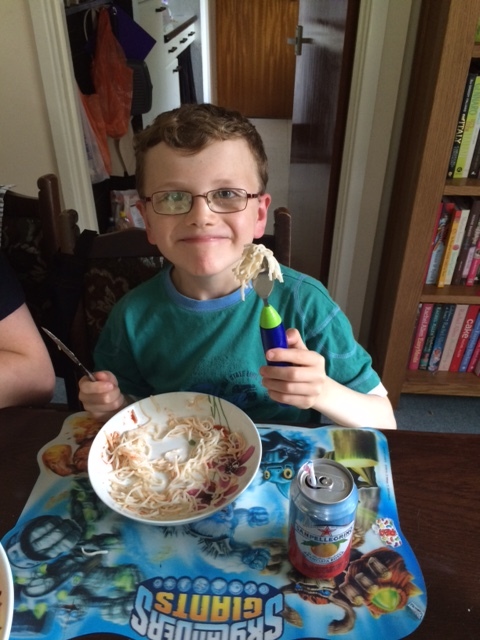 The reason it was so special for him is he is allergic to wheat and Jacky organised a special one-to-one session for him with all wheat free ingredients and had spent time researching the best recipe and flour etc for him to use and the results were brilliant! 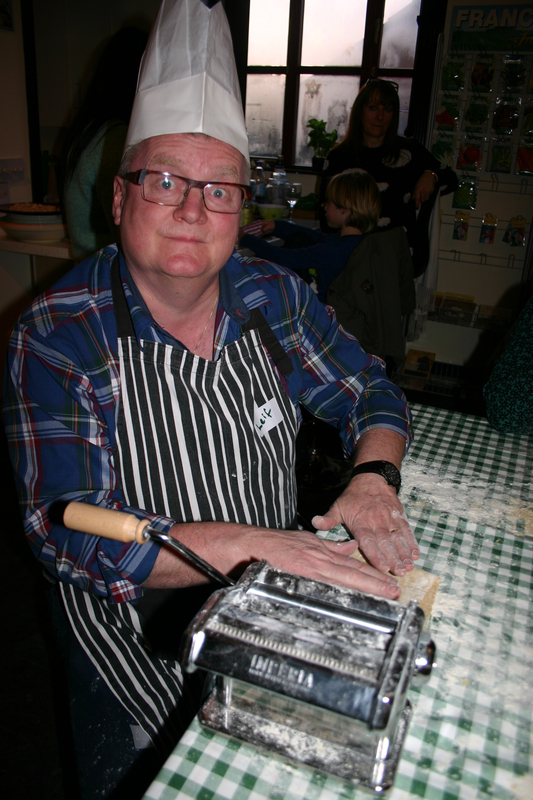 He throughly enjoyed rolling and shaping the pasta and decided when he got home and ate it that it was the best pasta he had ever tasted! I am really grateful to Jacky for taking the time and putting in the effort to enable Jack to do something that others take for granted. 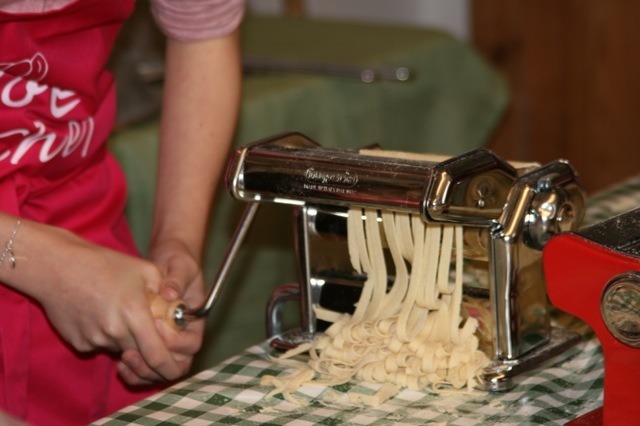 We have now bought a pasta machine and various tools to have a go ourselves at home. 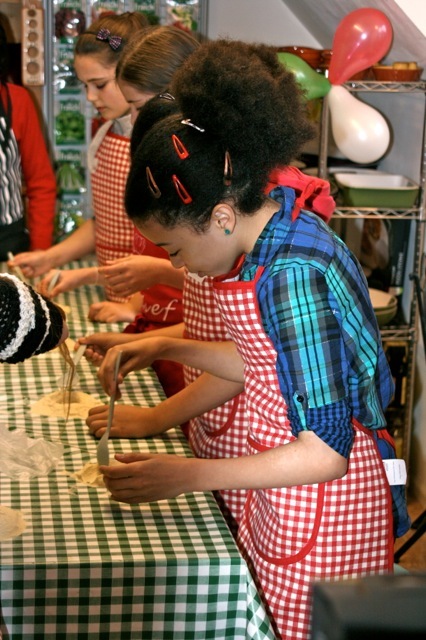 "I can highly recommend Jacky's workshops for anyone (wheat allergic or not!) 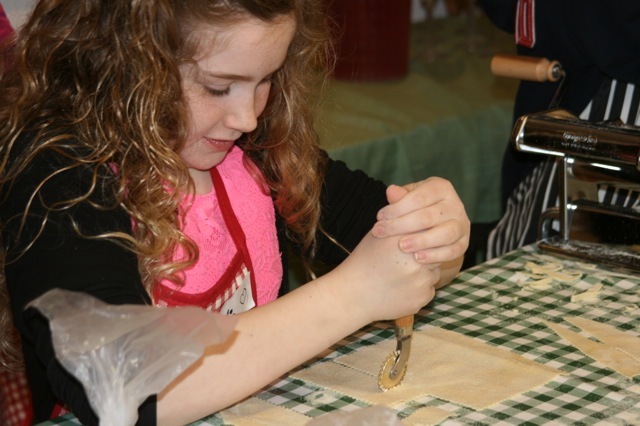 and will definitely be booking Jack in again sometime in the future."